DVHE2800S DC-DC Converter | VPT, Inc. 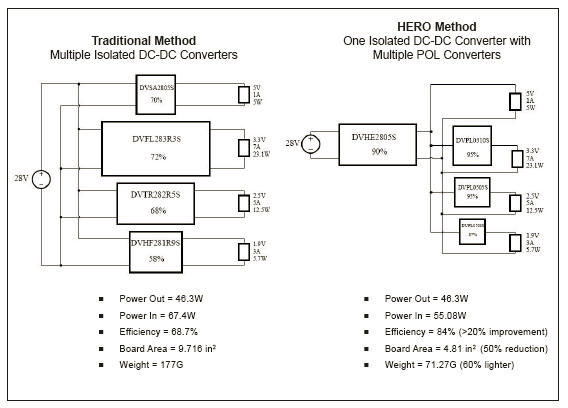 The DVHE Series of DC-DC converters can be used alone or in conjunction with the DVPL point of load converters to create an efficient distributed power system. The DVHE packs 50W in a standard hermetic case at more than 90% efficiency. This is 66% more current than previous generations offered in this existing standard case size. Save board size, weight, heat and cost by using a single DVHE to power multiple point of load DC-DC converters instead of deploying multiple isolated DC-DC converters.